Alila Anji brings joy to the palate with its latest pop-up lifestyle series. The resort has collaborated with Belgian chocolate brand GODIVA to create a premium high tea experience that combines the finest traditions of chocolate handcraftsmanship with a celebration of local Anji flavours. The GODIVA High-Tea-In-A-Box features a curated selection of 10 delightful sweet and savoury specialties. Guests can indulge in four decadent items from GODIVA – Godiva Café Au Lait, Godiva Artisan Rouge, Godiva Signature Cake, and Godiva Lady Noir – that promise chocolate lovers a sublime taste of heaven. 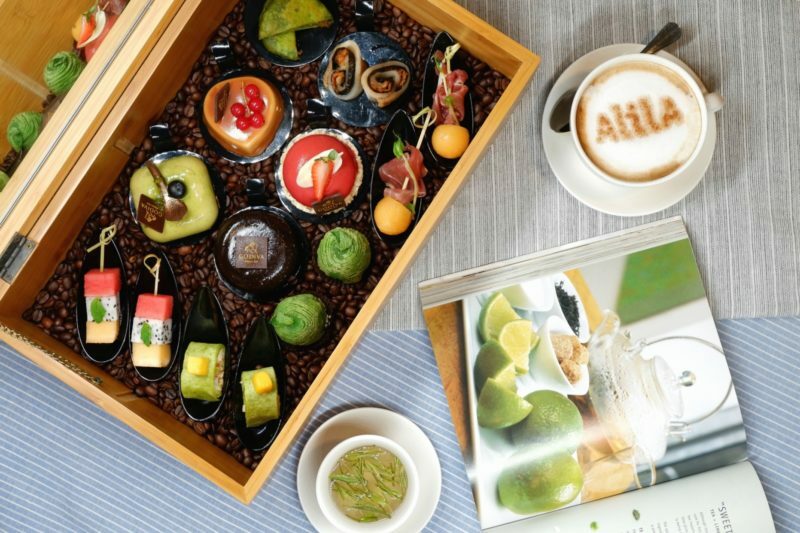 Accompanying these sweet indulgences is a selection of six scrumptious bites from Alila Anji’s Local Head Chef Jason and his team. They include locally inspired items such as Pork and Bamboo Shoots Crispy Cake and Anji Green Tea Puff, alongside international flavours such as Chicken Caesar Roll, Melon with Prosciutto and Homemade Rice Cake, as well as seasonal fruit. “Anji is famous for its bamboo and Anji white tea, which is actually from the same family of green tea. We very much wanted to showcase these signature local flavours. Their savoury notes complement the sweetness of Godiva to curate a high tea menu that is perfectly balanced,” said General Manager Jack Widagdo. This High-Tea-In-A-Box not only tastes divine but is a feast for the eyes too, beautifully presented in a locally made bamboo box. Have your mobile phone at the ready to snap that drool-worthy Instagram shot of this box of treasures! Priced at CNY498++, the GODIVA High-Tea-In-A-Box is best for two persons sharing and includes unlimited coffee, tea or soft beverages. Available from 11 am to 5 pm daily with limited availability, first-in- first-served. The high tea can be enjoyed in the Lobby Tea Lounge with a majestic view of Tianfu Lake and advanced booking is required.